Whether you’re installing a new driveway for your home or a new parking lot for your business, it pays to research paving contractors in your area before hiring one. You obviously want someone who offers quality service, but you also want to save money. However, saving money isn’t always about finding the least expensive asphalt contractor you can. For the best results, it’s more important to find a company that has a reputation for their attention to detail and professionalism. Installing an asphalt driveway or parking lot isn’t necessarily as simple as it looks. The contractors need to make use of the right equipment, ensure the surface is level, and use quality materials. If your asphalt surface wasn’t installed properly, it can have a negative financial impact in the long run. For instance, if you own a business, curb appeal is very important when it comes to attracting customers. If your parking lot is uneven, or if the asphalt seems to spill over onto the yard in certain sections, it will have a detrimental effect on your business. While it’s impossible to determine the exact amount of money you stand to lose over the years due to an unattractive parking lot, you can be sure it’s significant. 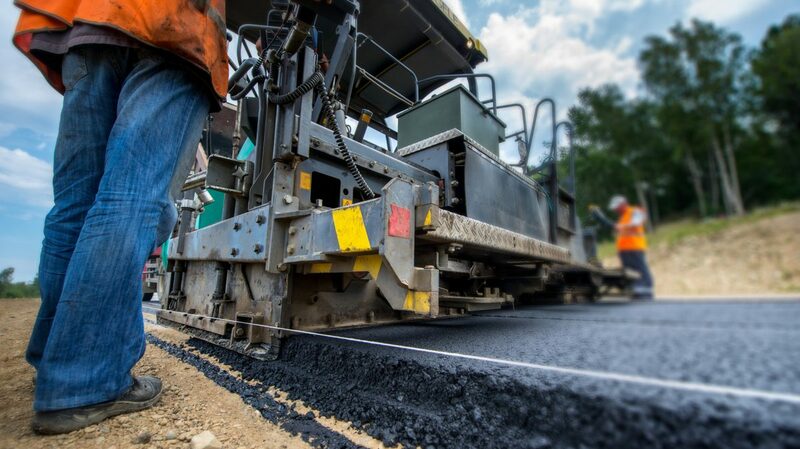 More importantly, skilled paving contractors install asphalt driveways and parking lots carefully so they’re less prone to damage in the future. Sure, you might save some money upfront by hiring a crew that gets jobs done as quickly as possible, but in the long run, you’ll wish you’d found someone who prioritized accuracy over efficiency. If you need to constantly schedule repair and maintenance work for your surface, it will cost you a lot over time. Typically, asphalt contractors who fail to provide quality service also fail to treat their clients with the respect they deserve. They just want to finish the job up so they can move on to the next one. They can’t be bothered with answering questions or offering advice. The problem is, you need a paving contractor who will answer your questions. The more you know about caring for an asphalt driveway or parking lot, the easier it is to avoid damage in the future. Don’t hire someone who is in too much of a hurry to provide suggestions for proper maintenance. Research your candidates and find one who has a reputation for treating their customers respectfully. Although a properly-installed asphalt surface will remain in good shape for years, like any material, asphalt does break down over time. When this happens, you need to know there’s someone you can turn to who’ll fix the damage quickly and skillfully. If you don’t repair cracks or holes in asphalt fast, they can often get much bigger. Then you’ll have to pay even more money to have them fixed. Don’t waste time and money scrambling to find a quality asphalt paver when you need repair service. Find a company you can rely on from the start. When the same people who paved your driveway or parking lot are also available to fix it, you’ll be able to address minor damage before it turns into a major problem. Hiring the right paving contractors doesn’t just help you save money in the long run. It can also help you make money if you ever decide to sell your property. Whether you own a home or business, every aspect of curb appeal contributes to the property’s value. Don’t overlook the importance of these factors. Potential buyers make an immediate judgment about your home or commercial property based on what they see when they first arrive at the property. If your parking lot or driveway is a mess, it will make them less likely to offer a lot of money. True, they could always repave it later, but buyers understand that doing so is the kind of expense they need to be aware of when they assess how valuable a property is. If they think they’ll need to spend some of their own money to improve the asphalt surfaces, they’ll be less willing to spend a lot of money to buy your property. When research paving contractors, seek out companies that have a reputation for professionalism. If they’ve worked in the area for a long time, there’s good reason to believe they’ve done right by their former clients. Don’t rush when making this decision. If you’re willing to set aside some time for research, you’ll find the kind of asphalt contractors who’ll save you a lot of money in the long run.